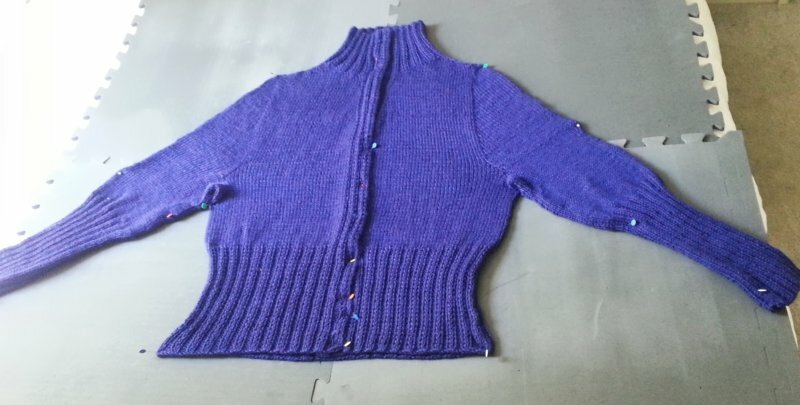 It was nearly midnight when I closed the last stitch and wove in the single remaining yarn-end on my blue-violet cardigan last night. I put it in the hand-wash cycle with a little Woolite Dark, and by 1:00 a.m. it was pinned out on the blocking board, where it's continuing to dry in shape today. The fit is reasonably good--not as great as I'd hoped, but certainly wearable. 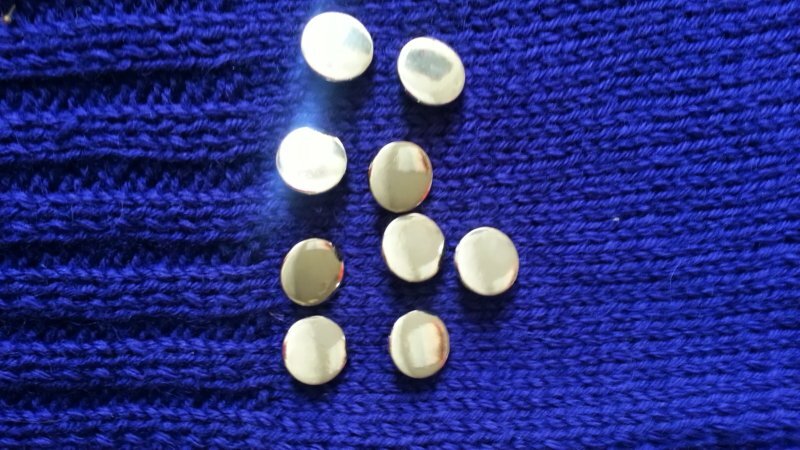 I learned so much from this pattern, though, that the next sweater should come closer to a custom fit. Now, on to the Neon Yellow Hoodie of High Visibility. Thanks! Of course, it's in the high 90s/mid 30s around here for the next week or so, so the prospect of actually trying this thing on is a bit unenticing. I'm going to the coast next weekend, however, and might actually be glad of a cardigan there. Thanks! It's a landmark in my knitting--my first one-piece, seamless, top-down sweater. It's opened up all kinds of possibilities.